About A&E Engineering — A&E Engineering, Inc.
You are here: Home / About A&E Engineering, Inc.
A&E Engineering, Inc. was founded in 1998, with a focus on providing full-service engineering services in mechanical, structural, civil and environmental engineering. While many engineering firms pride themselves on growth in staff, A&E prefers to rely on proven professionals who can meet the firm’s central standard – “Exceed expectations.” As a result, A&E has developed into an engineering firm that is large enough to handle even the most demanding scope of work, while remaining a cohesive team that excels in working collaboratively and closely with its clients. Al is a Founding Partner and President of A&E Engineering, Inc. and holds a B.S. degree in General Engineering from Idaho State University. Al is a licensed Professional Engineer in Idaho. Al has over 35 years of experience in project management, quality assurance, construction management, structural analysis, foundation design, industrial design, HVAC/piping design, and material handling. Al enjoys spending his free time golfing and fishing in the Idaho outdoors. He spent many years volunteering his time as a soccer coach in the local community. Al enjoys taking trips to his home country of China every opportunity he gets. Dale is an Idaho native and holds B.S. and M.S. degrees in Engineering and Hazardous Waste Management from Idaho State University. Dale is a licensed Professional Engineer in Idaho, Nevada and Oklahoma. Dale has over 28 years of experience in design, budget estimating, scheduling, contract negotiations and construction oversight of many diverse and challenging projects. He has extensive experience designing and installing process equipment, tanks, pumps and piping in industrial plants. Dale actively pursues lifelong education and training. He is a licensed Idaho Water Operator, a Hazardous Materials Technician trained through supervisor level and is certified in corrosion control. He is trained in cross connection control, leak detection, excavation safety, process plant design, advanced concrete design, water tank maintenance, pumping systems assessment and concrete repair. He believes that every worker should go home at night in the same state of health they were in when they left for work that morning. For over 15 years, Dale acted as the contractor safety liaison for a large industrial facility. He has been actively involved in the development and implementation of countless safety suggestions and programs. Dale is actively involved in our community. He has been part of the Portneuf Watershed Council, Portneuf Greenway and Groundwater Guardian groups. He has served on the board of directors for NeighborWorks® Pocatello and the Simplot Games. In 2016, Dale was honored to become a Pocatello Chamber of Commerce Chief based on his years of community service. Krystal was born and raised in Pocatello Idaho. She has a B.S. and M.S. in Civil Engineering from Idaho State University where she was awarded a National Science Foundation undergraduate fellowship. Krystal is a Professional Engineer registered in Idaho. Krystal has 11 years of civil engineering experience. She has developed skills in water and wastewater system design, storm water system design, land development projects and construction management. In traditional areas of civil engineering, Krystal has participated in design of sewer interceptor systems including gravity and force mains, public water supply systems, roadway projects and civil site design including grading, utility and drainage plans. Krystal is involved in the local community. She particularly likes to be involved in programs that encourage children in the fields of math and science. Krystal has volunteered for the Southeast Idaho Regional MATHCOUNTS© Competition for 10 years. For five years she has proudly served as the coordinator for the competition that recognizes middle school students for excelling at math. 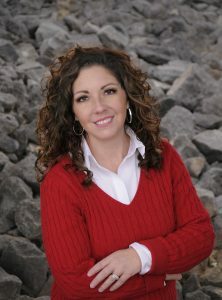 Krystal is active in the Idaho Society of Professional Engineers and Idaho Academy of Science and Engineering. On December 15, 2017 Krystal was selected as one of Idaho Business Review Women of the Year. Copyright © 2019 A&E Engineering, Inc.